Who hasn’t heard of Shopify these days? It seems we’ve all encountered Shopify’s advertisements in our internet surfing or its logos on our favorite online shops. It’s not just our exposure to the company, but its huge popularity in the world of ecommerce that is striking. Much of Shopify’s massive appeal is owed to its slickness. 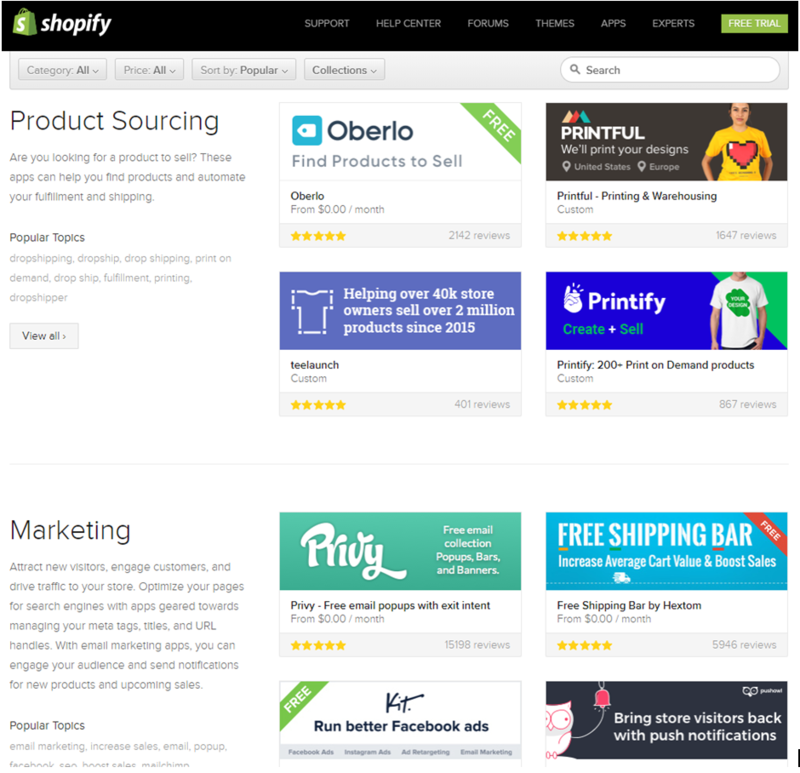 Thousands have flocked to Shopify to use a platform that makes ecommerce easy and smooth. But those are Shopify merchants—so what is the Shopify Partner program, and why are we talking about it? And if Shopify is so popular and easy to use for merchants, where Shopify Partners come into the picture? The truth of the matter is that even if you’re using the best ecommerce tool in the world, ecommerce itself will still be a tricky matter. Enter, Shopify Partners: those who make the Shopify community better for everyone. 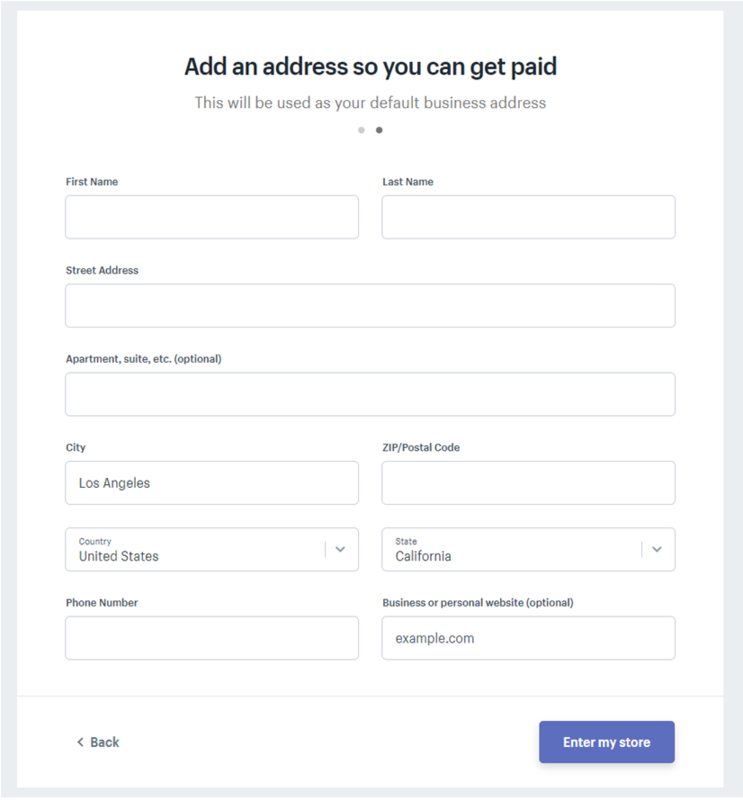 Shopify Partners create and manage development stores for their clients, and can earn money off of the referrals these produce: those who convert to paid Shopify accounts. 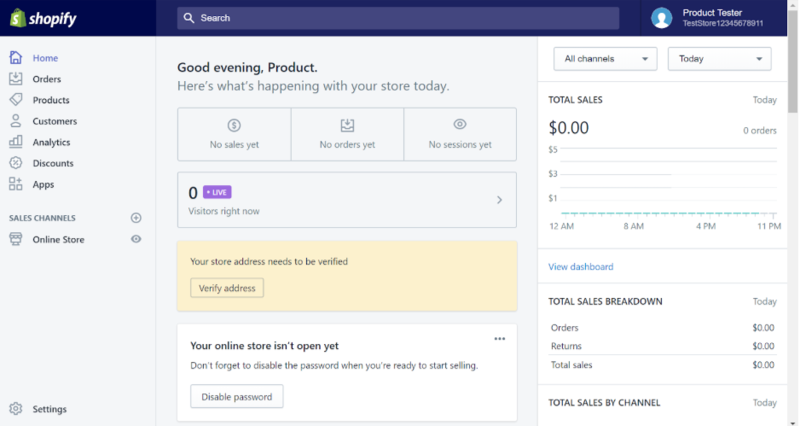 Partners can also earn money by creating themes for Shopify’s theme store, and creating apps for Shopify’s app store—and they can keep 70% to 80% of the revenue those products earn in the stores. 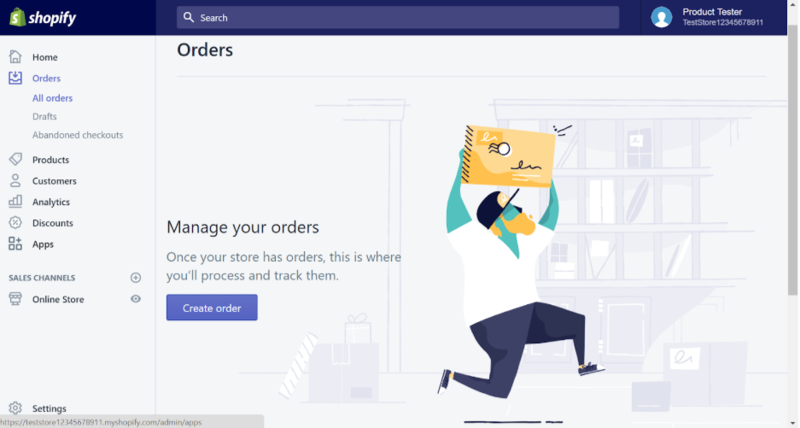 In this Shopify review, we’ll go into one of the most popular ecommerce solutions around and come out with a comprehensive understanding of the goods and bads of Shopify Partners. So, how does the Shopify Partner program stack up? In total, our Shopify review is giving it a 4.6/5. But that’s just the short answer—we also score different aspects of Shopify Partners, so keep reading to get a full outlook that really takes everything into account. Here are some highlights of the Shopify Partner program you might want to keep an eye out for in this review. Partners can create apps or themes and sell them on the app/theme store. They can keep 80% of their apps’ sales and 70% of their themes’ sales. Affiliate program, with referrals earning you 200% of the customer’s subscription fee. 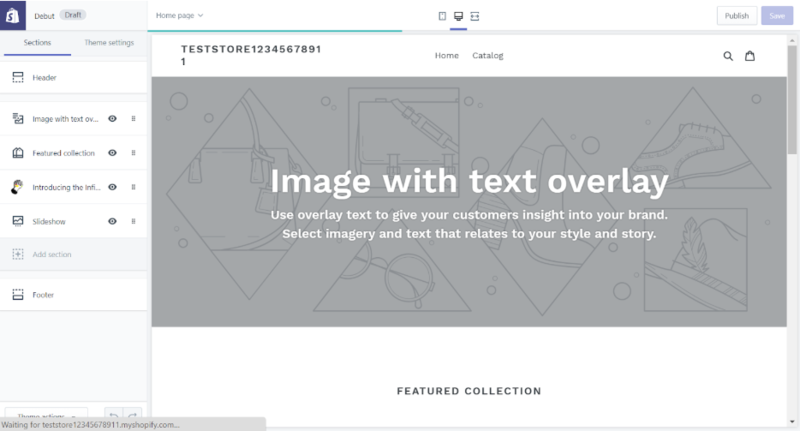 Unlimited free development stores – which let you experiment with themes and storefronts to your heart’s content, as well as accommodate as many clients as you are able to. If your development store successfully woos a client, you get 20% of their monthly subscription fee for as long as they are active on Shopify (development store referral). App and theme stores to give you more control over the shops you’ll be setting up. Focusing on the positives in life is great, but when you’re in business, you need to call the positives appropriately. Thankfully, Shopify has a lot of positives for us to work with. First of all, the pricing is overall strong. After the cons and cost sections you’ll get a better understanding of some unexpected purchases you might need to make, but the takeaway is a solution that’s still cost-effective overall. This is primarily because setting up a Partner account is free, but allows you access to a lot of tools only accessible to merchants with Premium accounts—for an unlimited amount of test stores. As far as your toolkit goes, things are admittedly nuanced. 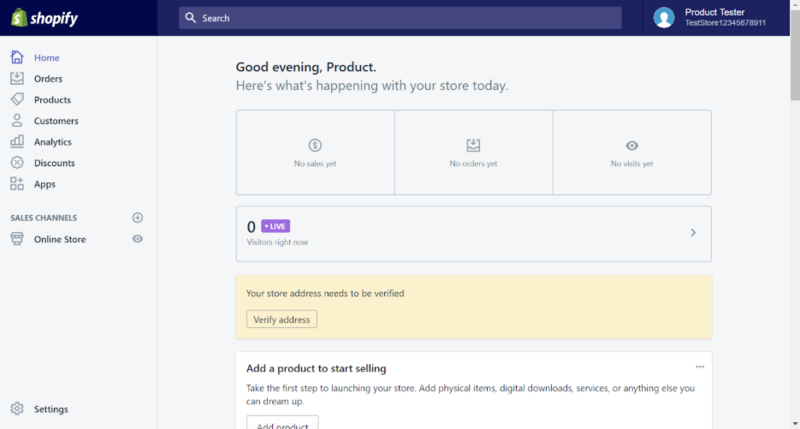 Shopify’s development stores are generous in that you can create them endlessly and they come with their own features, but some of those features can be rudimentary. Although you’ll probably be investing in some additional tools along the way, you won’t find yourself out of options or out of tools. The main predicament is the ones you’ll want to invest in. Even so, Shopify’s default tools still pack a punch, and will likely be good enough for the general management of the store. Shopify Partners also has a very smooth interface. Everything—pages, buttons, links, forms—is self-explanatory and the design is slick at the same time. The great user experience is also supplemented by a strong customer support system. If you’re confused about some aspects of the Partner program, you’ll definitely find the resources to take care of that. Shopify’s customer service (in the form of live chat, email support, and phone support) and its on-site resources (how-to articles, Shopify Academy, Polaris, etc) are stellar and don’t leave a lot of room for uncertainty. Their documentation is expansive, and if you have any questions left unanswered by that—or if you just prefer talking to people directly—their representatives are helpful. If you’re trying to find out how to explain this or that Shopify concept to your client, Shopify will have plenty of resources for that as well. This Shopify Review will be critical, but make no mistake—Shopify Partners is a strong software, and it’s not dominating ecommerce based on luck. Although our overall score for Shopify Partners is pretty hard to beat, note that it’s still not a perfect score. Why? Unfortunately, Shopify has some sneaky flaws that you’ll need to watch out for if you’re considering becoming a Partner. 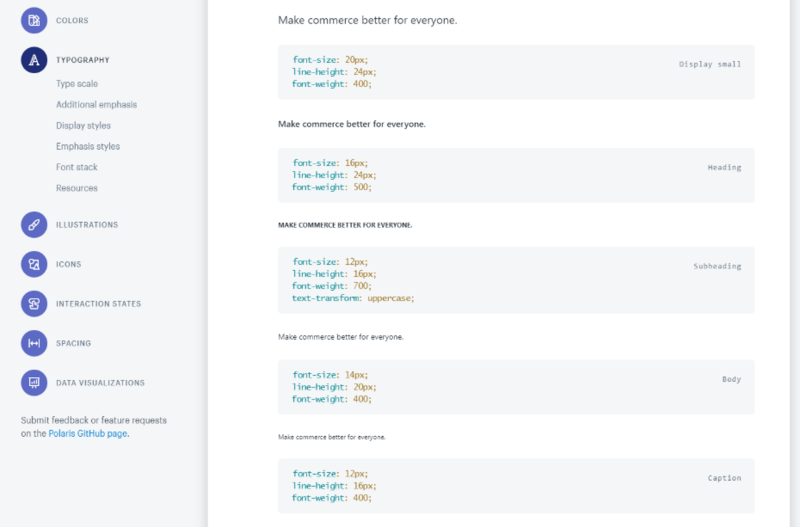 A big chunk of the flaws concern Shopify’s default features; namely, they could have more of them, or more complicated ones. If the tools available at your disposal don’t cut it—and chances are, at least one won’t cut it for you—you’ll need to install additional tools. Adding features involves installing apps as needed to augment your default Shopify tool set up. Some of these apps—the Partner-friendly ones—are free to test in development stores, but will start charging premium monthly fees when it’s really time to use them. Other paid apps can’t be added until a development store gets upgraded to a paid merchant store, at which point these apps are still sometimes overpriced. This wouldn’t be so bad if not for the fact that many of these same apps are available for free or via one-time payments on other platforms (such as WooCommerce). 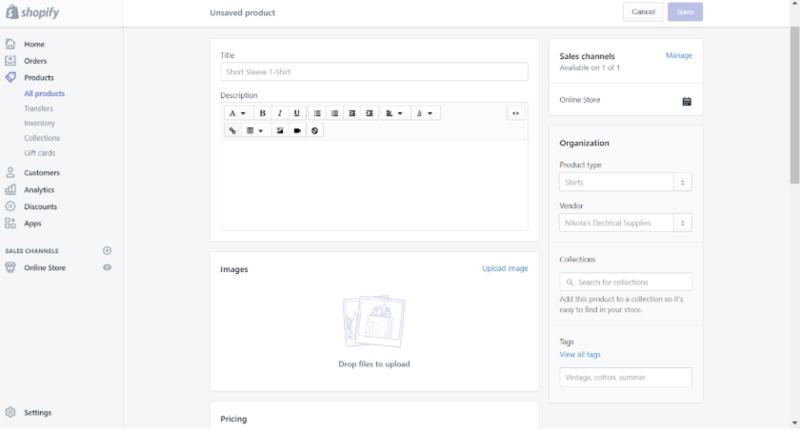 Additionally, if you’ve decided to build out themes for Shopify’s theme store, you’ll need to learn Liquid. Liquid is Shopify’s templating language/engine. Although Liquid is open source and Shopify’s support page claims that many use it, as far as I can tell it’s pretty contained within the Shopify ecosystem. You would also need to use Liquid for editing your store if you want to make a more complicated or otherwise nuanced change. You can’t edit basic HTML or CSS, and the default page editor is somewhat limited—so if you want to make a change that escapes Shopify’s page builder, you’ll probably need to get the hang of Liquid. The good news is that Liquid has pretty good documentation from Shopify and because it’s open source, there will always be helpful articles floating around the web. Alternative to learning Liquid, you can also find an add-on that gives you greater control over your shop’s pages, or hire a Shopify Expert (or a freelancer on the internet) to do it for you. Liquid is not a totally useless language, especially if you plan on using Shopify more, but it’s annoying being boxed into the Shopify ecosystem. It’s not just building themes—even if you want to purchase themes from the theme store, many are quite pricey. Shopify’s theme store doesn’t have a problem with quality or quantity, but some of the themes are simply overpriced and that takes away from the advantages of having a robust theme store. That would about cover the ticks in Shopify Partners: overpriced apps and themes that become especially annoying when the default options don’t give you enough maneuverability, and an insistence on the use of Liquid. Although these are shortcomings worth noting, they don’t constitute major flaws within the overall Shopify Partners platform. 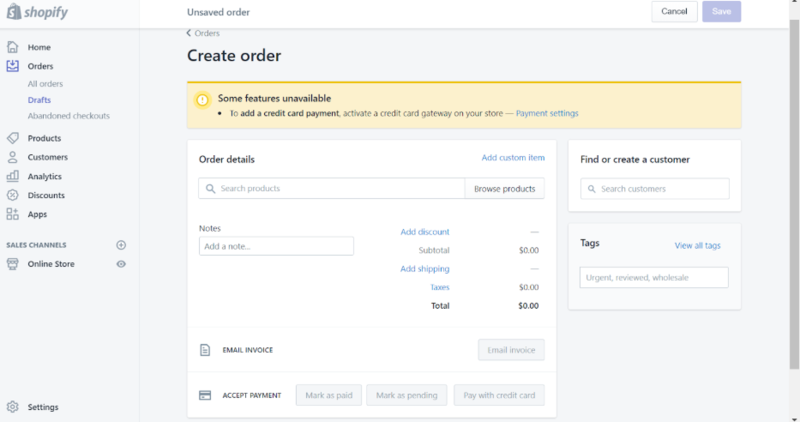 You won’t be starved for features even taking into account pricey add-ons, and Liquid is still useful for custom work even if you’ll only be using it with Shopify. With the pros and cons taken into account, let’s head into Shopify’s cost. This is probably the simplest cost section I’ve ever written in a review: being a Shopify Partner is free. At this point, the business owners reading this are probably narrowing their eyes already—nothing’s free, even if it’s shiny and on the internet (especially if it’s shiny and on the internet!). Fair enough: it is free to make a Shopify Partner account, but Shopify will make its money off of you in other ways. First, if you’re referring your clients to Shopify, or if you’re getting them to upgrade their Shopify accounts, Shopify is clearly benefiting from the additional payments. Secondly, if your themes or apps are selling on the app or theme store, Shopify will take a percentage of those sales—30 or 20%. The official price tag alone rarely captures everything. Something we factor into Shopify’s cost factor are the features that make it more or less cost-effective. With Shopify, the ability to create unlimited development stores for free is a huge advantage, particularly as most of your business as a Shopify Partner is likely tied to your ability to manage stores for clients. However, there’s a fair chance some of the default features that come with every development store will be too little for comfort. To this end, one would add applications that augment and improve the management of a development store. Typically installing and using an app from the Shopify app store will be free for testing in the development store, but once you “set it free”—hand it off to your client—the application(s) employed will probably require payments. As mentioned, some of these applications will charge monthly payments that you wouldn’t pay on other platforms, such as WooCommerce. As has been mentioned, a similar problem may be waiting for you with Shopify’s themes. Although the theme store is robust, it’s also overpriced. Moreover, if you don’t take care to learn Liquid for better control over your shop’s pages, you’d need to buy an add-on page builder or hire a freelancer or Shopify Expert. The fact that we can pretty much count on a sizeable chunk of Partners doing so says something about Shopify’s real price tag. Overall, we’ll give Shopify’s pricing score a 4.5/5. Yes, that is high, but it’s a well-deserved score: a Partner account is still free and you can make as many development stores as you need to without charge. The unexpected costs are unfortunate, but the features you get access to are premium tools for Shopify’s merchants, so it balances out. Even if you really need to use Liquid, it is technically free—it’s time that you’d lose trying to get the hang of it. Despite the way themes and add-ons add up, Shopify Partners has an overall good value. Of course, we can’t really make sense of a product’s cost-benefit without knowing what gets offered. Sure, you get access to stuff, but is that stuff any good? Overall, yes. Shopify Partners also allows you to create apps for Shopify’s App Store and themes for Shopify’s theme store. 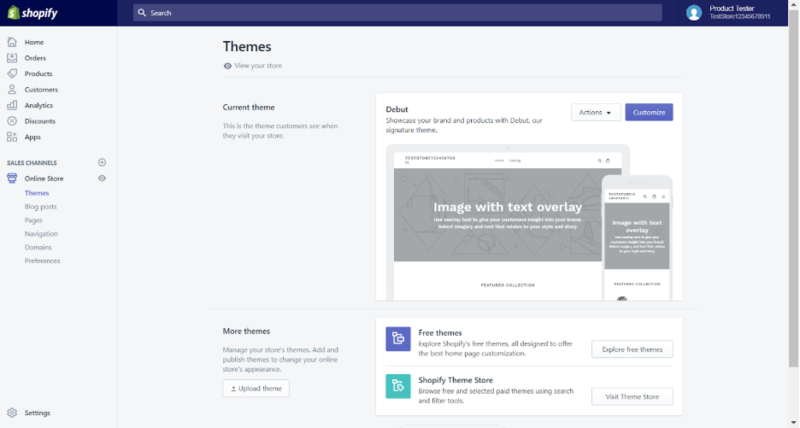 Publishing themes requires qualifications: you must be certified as a Shopify “Design Expert,” that has been approved by Shopify to create and publish themes. However, once you’re in, there’s a lot of support waiting for you in the theme-creation process. There’s a similar community to support your app-building. Percentage-wise, app store sales net you 80% of the sales money, and theme store sales get you 70%. You can also sell apps directly to clients by designing them specifically for their store, but this seems to be a less common approach. We haven’t used our Partner accounts to do much app or theme store work, so I don’t want to present myself as an authority on the process. It is, however, certainly good to have additional streams of income, especially if you’re not so interested in referrals. This takes us to Shopify’s referral and affiliate tools. They’re very related, but still different, and you ought not to confuse them—technically, the affiliate tools are not necessarily part of the Partner program. However, most Partners are also affiliates, and because they’re often conflated, we’ll just cover both tools in this review. Shopify’s affiliate program is free to join and there is no minimum amount of sales required to maintain affiliate status. You get an affiliate link to add to all the sites and profiles you maintain, and your account will probably be approved within 2 days of submission if you don’t mess anything up. 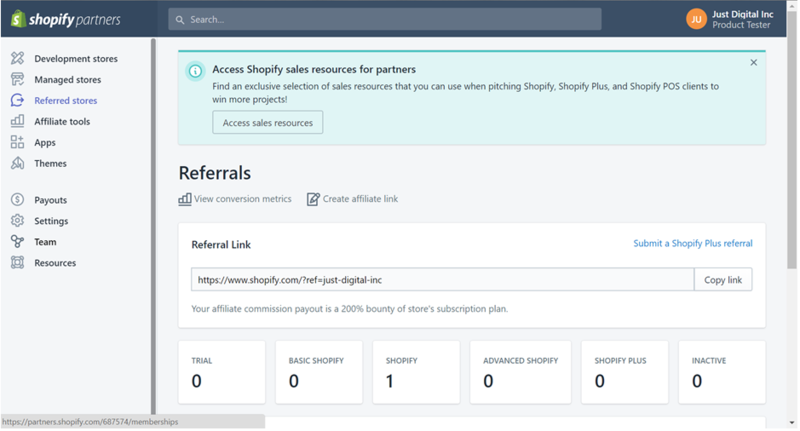 Many people confuse Shopify’s affiliate program for its Partner program: although the two are separate, you can do both at the same time. Just keep in mind that you cannot get paid through both programs for the same referral! That’s okay though, because the affiliate program is generous on its own: you’ll earn 200% of a customer’s subscription fee when your successfully refer them: 100% commission of their first and second months of paid subscription. If your referral signs up for a Basic Shopify plan, which is $29 a month, you would receive $29 for two months, for a total of $58. 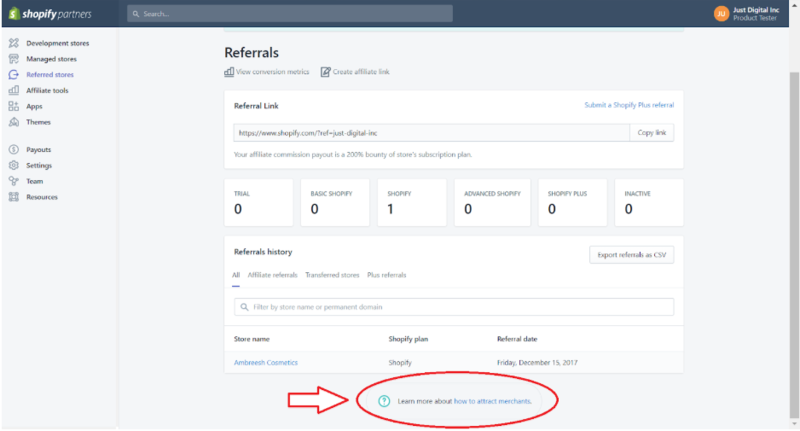 The referral section on the dashboard is distinctly part of the Partner program: whereas you’d use your affiliate status to refer people to Shopify from your internet presence, you’d use your Partner powers to build stores to refer your clients to Shopify. When you refer a client using a development store, you’ll earn 20% of their monthly subscription fee. Here’s where a less popular Shopify policy comes in. Whereas formerly you would receive these payments for as long as the referred client paid for their store, now you will only receive these payments if you are “active in the Shopify Partner Ecosystem.” What does that mean? You’ll need to refer clients (whether through your development store or affiliate link) or have a referral upgrade to Shopify Plus within 12 months, regularly. Suppose you’ve made enough referrals and you’re focusing on something else, away from Shopify’s software—I hope a year’s worth of payments is enough to you! Being a Shopify Partner comes with a variety of perks, but the most explicit are known as Shopify Partner Perks (ba-dum-tss). Partner Perks are basically discounts on software you might find useful. As you can see from the attached picture, such software includes digital assistants, accounting software, help desk software, and so on. 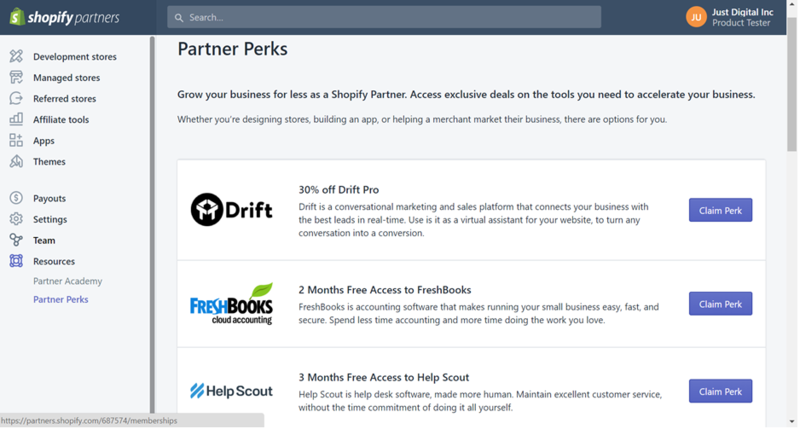 If you take into account Partner Perks, your feature list might expand: it’s really the opportunity to add tools at a lower cost. I haven’t heard much of others taking significant advantage of Partner Perks, and I myself haven’t either. It sure doesn’t hurt to have, however. Development Stores make the Shopify Partner program what it is, and for that reason we’ll be giving more detail in the following section. To briefly comment on them: development stores are test stores. They’re sort of like mini, free Shopify accounts. You can use them to test out the apps or themes you’ve created, or to build a Shopify store for a client. Development stores come with most of the features that merchants on Shopify Advanced get access to. Now, our overall takeaway for the development stores is pretty solid. The default Development Store tools can be a little bare at times, but this can be remedied by adding apps as necessary—and remember, Development Stores feature the more advanced side of Shopify’s toolkit. There are two kinds of apps one can add: public and private. Public apps are those which are available on the Shopify app store. There’s a pretty decent collection of public apps, and many of them are free to test in development stores—at least the “Partner friendly” apps are—but would start charging once you hand off the store, so you should keep that clear with your client. Moreover, some of the apps you want may charge you premiums even in your development stores. 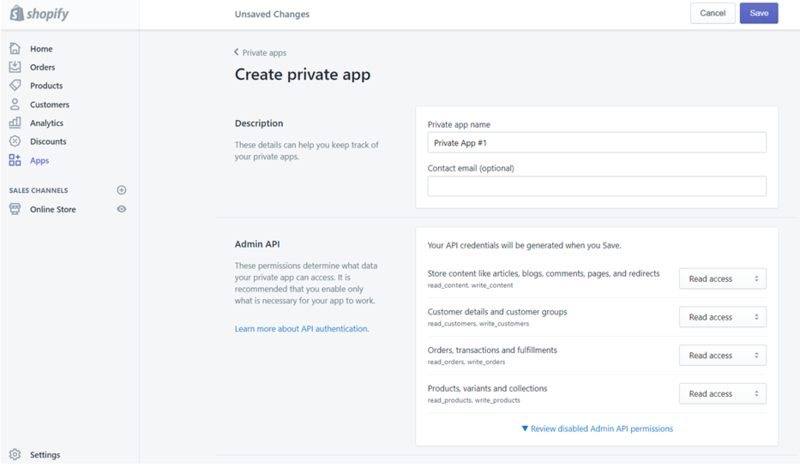 If you don’t find a public app that suits your needs, or if you have an existing software in mind you want to integrate, you can add it as a private app. Taking this into account, development stores are not so bare-bones, and our take on Shopify Partners’ access to features is looking pretty solid. The next section will go into development stores with more detail—detail that will lead us to our score for Shopify Partners’ features! We can’t seriously evaluate Shopify Partners unless we take a good look at development stores—of all the features, development stores are really the mechanism through which your referrals will operate. So let’s take a look through the creation of a test store in the Shopify Partners software. When you head out to make your development store, you just need to fill out some pretty easy blanks. Yes, you do need to set up a login for every development store you create, and it’s worth noting that you cannot create a development store with an existing name—so be creative, even if you’re just experimenting! If you’re ever ready to open up a development store to the public, you can remove the password-based login. Once that’s taken care of, you just need to run through another quick form. Don’t worry if you’re not ready to sell anything—experimentation is welcomed. Remember: the more you build on Shopify, the better. You’re counting on getting paid by helping your clients and the Shopify community. Once that’s all done, you can go straight to creating. 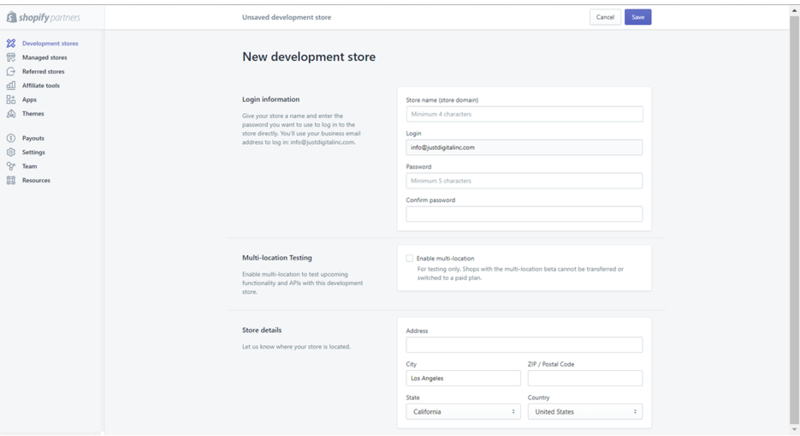 This is why development stores are everything to a lot of Shopify Partners: this is how you manage your storefront, including, products, customers, analytics, discounts, and apps. Creating an order is as straightforward as everything else you’ve seen so far. Similarly easy is adding a customer. 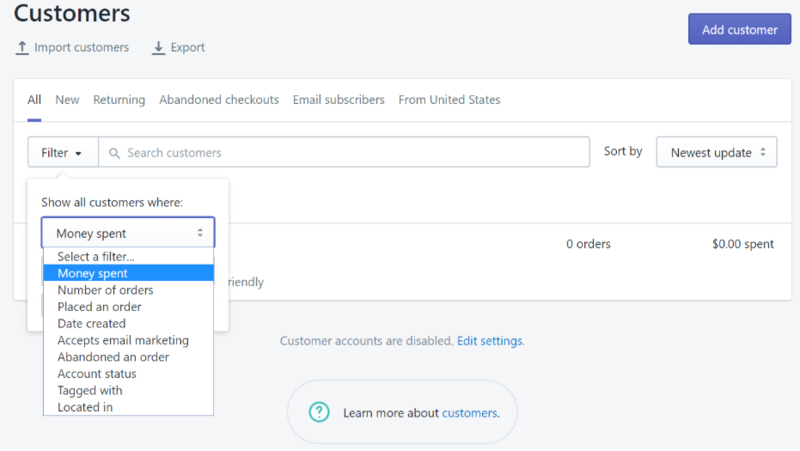 Typically, you might want to import customers or wait for them to show up automatically as they interact with your storefront, but you can always add them manually. Once you’ve added in a customer, they’ll show up with all your other customers. 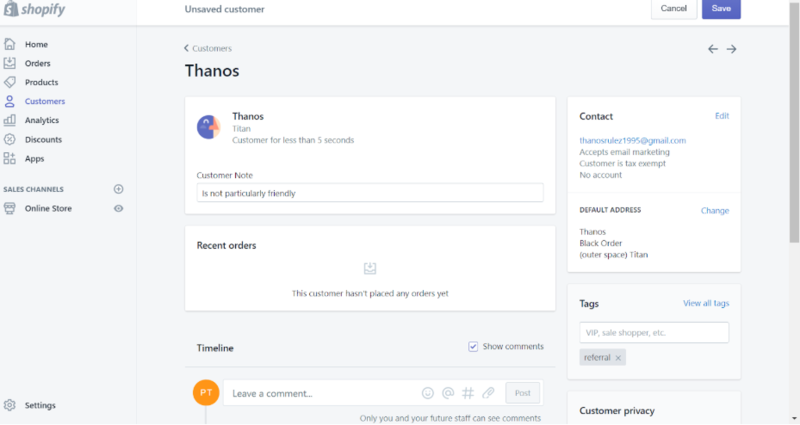 You can also view your customers by a few different descriptive features, such as whether they abandoned checkouts or are subscribers to your mailing list. You can apply additional filters as necessary and toggle with the details, adding certain value parameters as necessary. What’s the point of having customers if you don’t have any products? Adding a product is smooth and to the point, much like everything else in creating a Shopify store. You’ll fill in basic information—the product’s title and price, a description and image of the product, and so on. There isn’t room for a huge amount of detail, as with customer data, but Shopify covers the basics. There’s also a little SEO editor for each product. 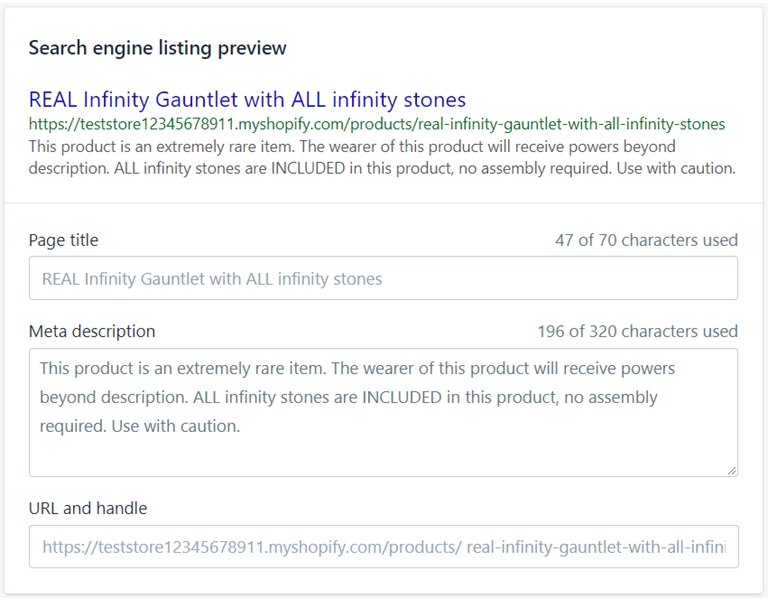 It just lets you edit the basic appearance of how the product lists in search engine results. 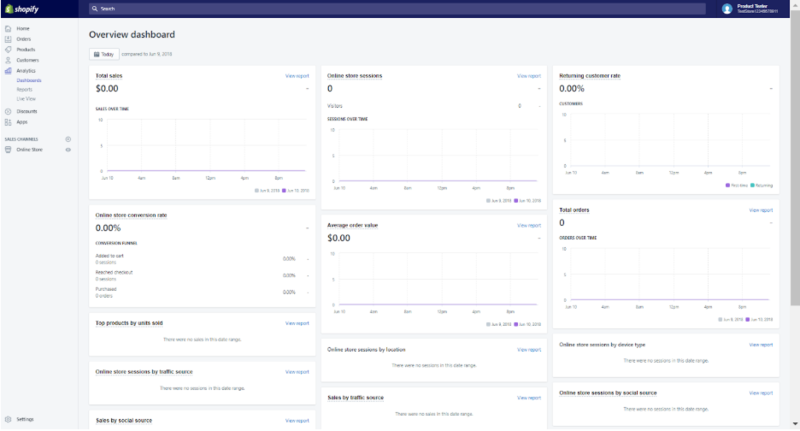 Don’t let the name fool you into thinking it’s a more comprehensive keyword or analytics software—you’ll need to go outside of Shopify’s default features for that.There’s also a little SEO editor for each product. It just lets you edit the basic appearance of how the product lists in search engine results. Don’t let the name fool you into thinking it’s a more comprehensive keyword or analytics software—you’ll need to go outside of Shopify’s default features for that. Once you’ve filled some things out—made your products, your orders, and overall built up the content of your store, you can work on the themes and customization. The editor is pretty easy to use. I found it a big sluggish at times, but not to the point that it was dysfunctional. It’s not a drag and drop editor—you can’t rearrange things with your cursor really, but whatever edits you make on the sidebar will show up on the main preview to the right without much delay. After you’re satisfied with your editing, you can take a step back and preview your Shopify website. I’ll make a note here that Shopify’s default editor isn’t the most robust—when you’re really taking care of a storefront, details matter, and you probably won’t want to settle for the limitations of a simpler editor like this one. 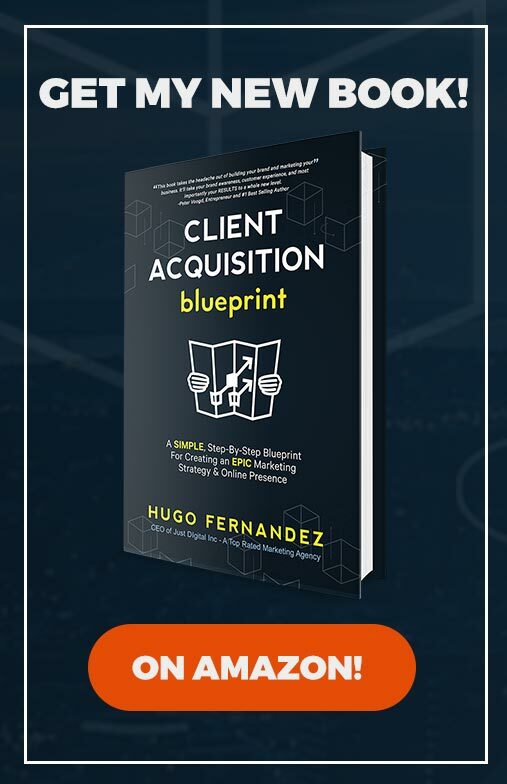 This is where you’ll probably want to investigate using Liquid, or purchasing an add-on that gives you a more powerful page-building experience. 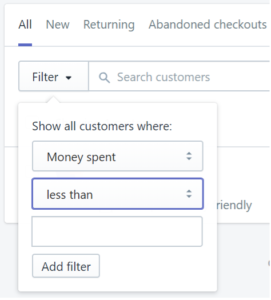 In any case, once you’re satisfied with your finished Shopify store, and you’ve made it available to the masses, you can benefit from an analytics feature. The feature includes reports on a variety of things, aside from simple graphs and charts. 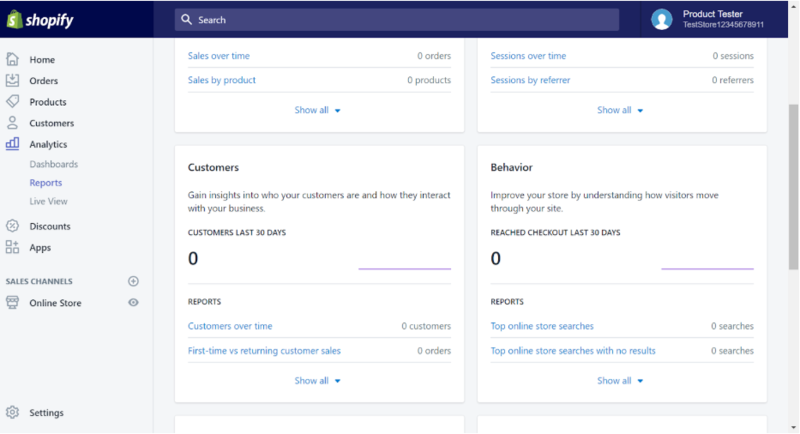 You can access reports on your Shopify store sales, acquisitions, customers, visitor behavior, store finances, and marketing. Additionally, you can even create custom reports tailored to your needs. So, what’re the downsides? To be frank, most of these tools are not particularly robust. All of them cover the basics and should be enough to go on, but for those who prefer more control over the details of this or that aspect of their e-store, these might be a little lacking. Take, for example, contact management: having the ability to use different filters and tags is certainly useful, but it is something of a bare minimum. Particularly if contacts pile up, having more control over tagging would be desirable. 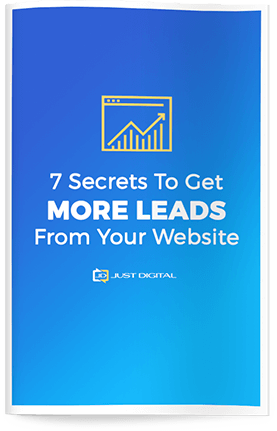 The focus on “customers” may also make it harder to incorporate other leads that have not yet purchased anything, though you could technically add them all the same. There isn’t much of an ability to create or target a campaign based on your tags—in fact, you can’t really do that at all within the customer management tool. Of course, that’s why you’d go to a software specifically geared toward contact management—you can check out our review of Infusionsoft for one such piece of software. Such limitations apply to the other tools as well—for example, the product management’s “SEO” tool only lets you edit a few things about how the listing looks in search engine results, and that’s about it. There exist dedicated software solutions geared specifically towards contact management, SEO, and orders, and so on. I would imagine many Shopify Partners already have tools they would prefer to use for certain aspects of their clients store, and for those, they may need to take extra steps. The extra steps are not too demanding, however, and to an extent you would probably take the same steps with many ecommerce solutions. You basically need to add apps to your development store, whether public (from the Shopify app store) or private (your own additions). 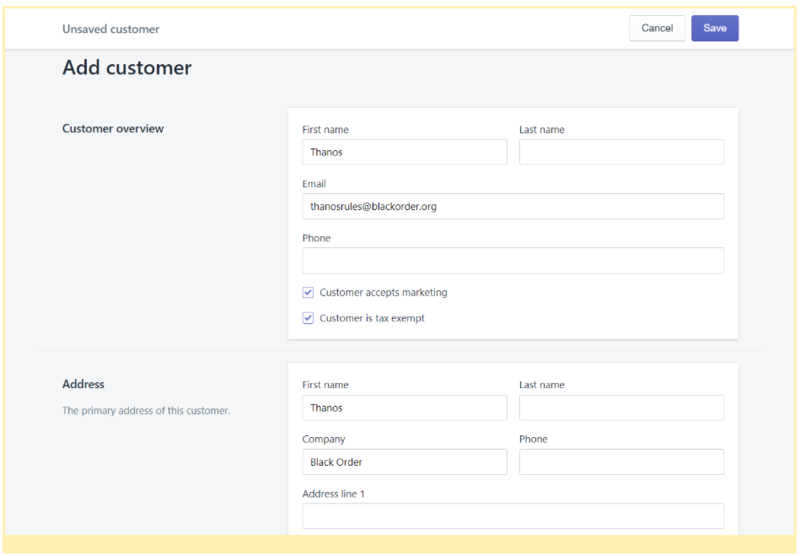 To continue with the customer management example: although you can import customers to your Shopify list by uploading a CSV file, if you wanted to use a more dedicated customer management tool you’d have to go out of your way to use it for your client. From my own digging, the app store didn’t have particularly robust contact management tools, so I would probably add a private app to get the work done. Bringing in other, preferred, tools into the Shopify Partner ecosystem is still a valid option, but you might need to go out of your way. 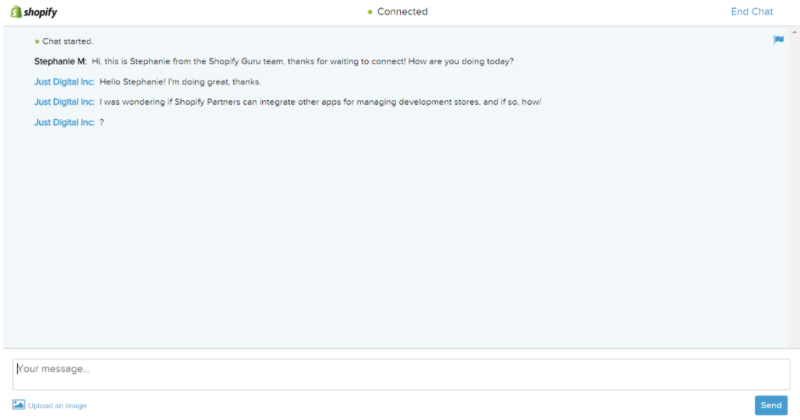 Despite these shortcomings, Shopify’s development store feature is overall solid. Not everyone will be building apps or themes, and development stores give you the ability to create value for your clients in a more traditional way. If the development store’s capabilities are starting to seem skimpy, remember this: you can continually create more and more development stores, and each one benefits from the aforementioned tools. This is what makes the development store capabilities so noteworthy. In fact, there’s some merit to having a trimmed down default experience that doesn’t burden you with bloatware, and being able to add apps as necessary is hardly a fatal flaw. Finally, part of the simplicity is to be expected—that’s just what Shopify is good at, and development stores get most of the features reserved for the highest tiered Shopify package for merchants: in Shopify’s ecosystem, the tools are fine. Other popular shopping carts are unlikely to give you more depth than Shopify anyway, so comparatively speaking Shopify does fine. It is for this reason that we are awarding Shopify Partners’ features factor an overall score of 4/5: not perfect, and with some noteworthy setbacks, but a strong set of tools nonetheless. If you’ve been reading this far, you’ve already encountered our mentions of Shopify’s user-friendliness: mentions that are well-deserved. Shopify’s ease of use should not come as a surprise—it is tremendously popular for a reason, after all, and after a certain threshold of popularity you can expect a product to have a certain level of user-friendliness. Shopify is one such product, and thank goodness—otherwise, ecommerce would be much more painful. But Shopify doesn’t restrict user-friendliness to its merchants: Shopify Partners makes it easier for you to make things easier for your clients. And yes, it really does make it easier. For example: you may have noticed in some of our screenshots that at the bottom of many pages, Shopify adds a link to a helpful article. This is the case for almost every page you end up on, and it’s never a nuisance. 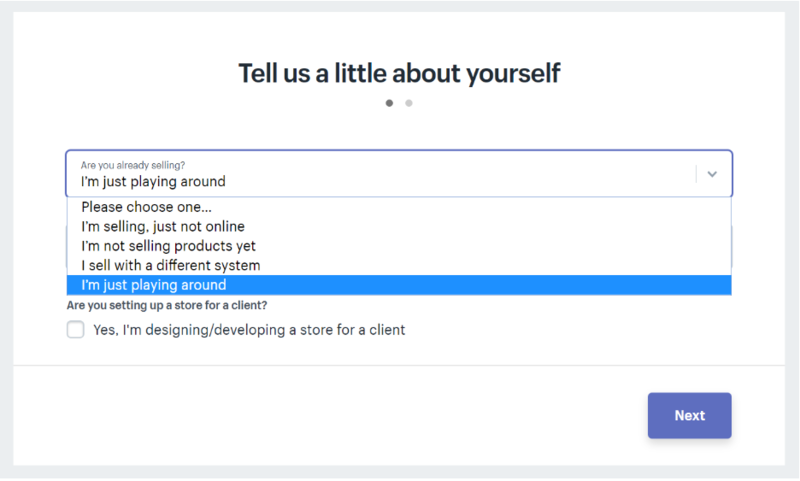 This is where ease of use overlaps with customer support, but what’s great about Shopify’s user interface is how easy it is to get quick answers. It’s not just this, of course: buttons are self-explanatory, and it’s never difficult to save or cancel changes. The format is clear and straightforward—sub-menus only open up once you click on a larger menu option, so you are never going to be overwhelmed by all the options on your plate. Trying to find words for some of the earlier screenshots was tough, because Shopify’s UI did all the explaining by itself just fine. Everything is stylish and clean, without much cluttering or unnecessary software. In fact, there really isn’t much bloatware at all, and navigation has always been speedy for me. The thing about user-friendliness is, unlike a features section, it’s ideal to have few words: you want less, not more things to deal with. Shopify Partners gives you plenty of stuff to work with in a format that is very easy to digest, and for that reason we are awarding its ease of use factor a perfect 5/5. Closely related to user-friendliness is customer support, and Shopify Partners receive customer support that is almost as good as its user-friendliness. In fact, Partners get special, priority Partner support! Shopify’s customer support includes representatives available for contact, as well as on-site resources available for consumption. There are three ways you can contact Shopify’s customer service: phone, email, and live chat. One minor gripe I had at first—perhaps the only minor gripe—was the lack of ability to save a live chat conversation. The next day, when checking my email, I found a log of the chat had been emailed to me automatically—so even that complaint was taken care of. In any case, the live chat worked quite well, with the customer service representative responding quickly and accurately to my questions. There was some waiting involved, but never more than a few minutes—although this could probably be annoying to people, I found it overall helpful enough to mitigate the slightly longer chat times. Of course, Shopify has support for its Partners beyond its representatives. There are useful how-to articles all over the place, as you can find the links to them on most pages. 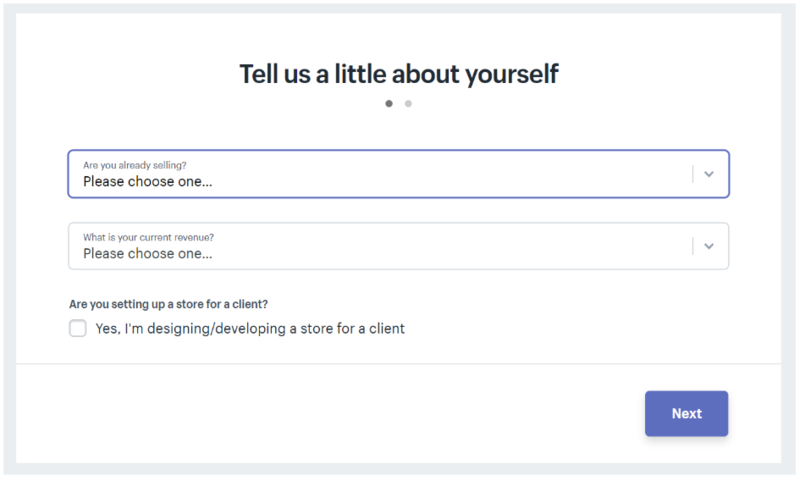 These are part of Shopify’s help center, which serves all Shopify products and not just its Partner program, but there’s a good amount of detail in there nonetheless. The Help Center is a good resource, especially if you’re a new user and unaccustomed to the software, and anyone can access it by going to https://help.shopify.com/. 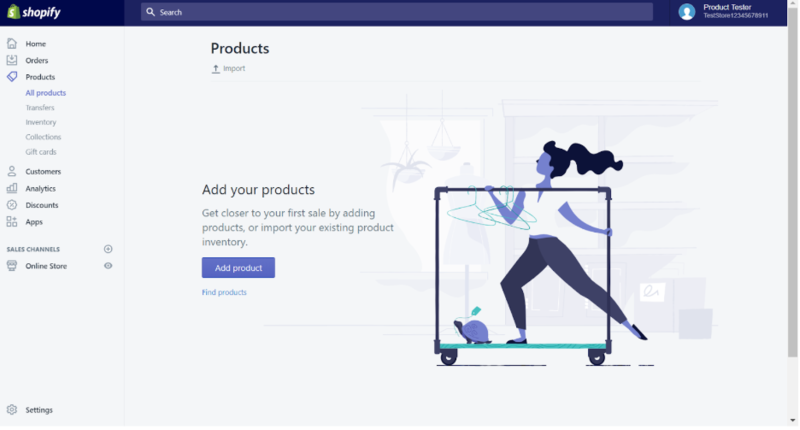 Something I’d give a special highlight to is Shopify’s “Polaris.” Polaris exists to ensure you can keep your products up to Shopify’s design standards. It’s not exactly part of the how-to article sets, but it sure is handy. Take this highlight with a grain of salt, however; Polaris is not a feature available solely for Partner accounts. Anyone can check out Polaris by heading to https://polaris.shopify.com/. This is also true for a lot of Shopify documentation, and if you’re unsure about becoming a Partner, we suggest taking a look through Shopify’s publically available support resources, Polaris and the Help Center. Polaris can still be useful nonetheless. 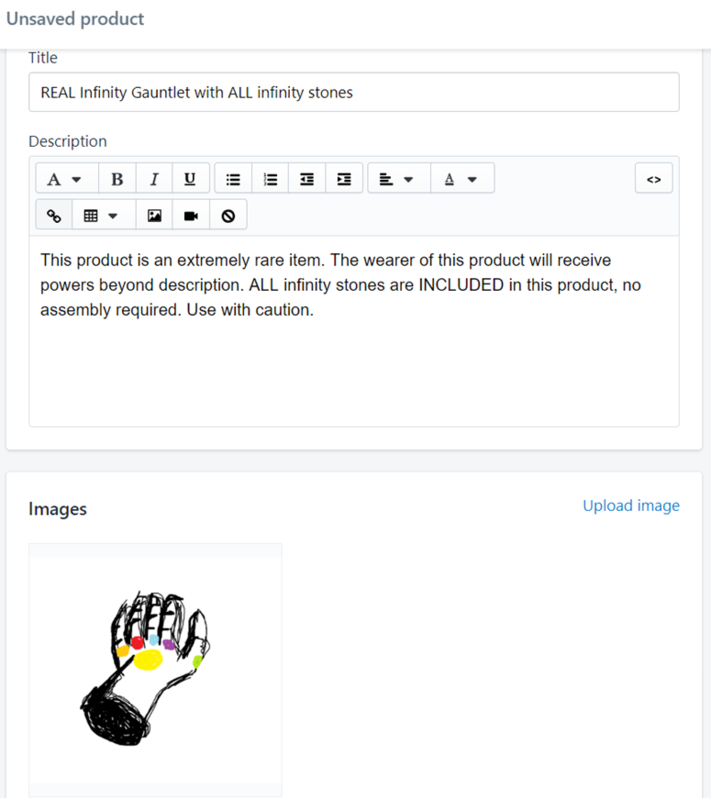 The Polaris page has five main sections: guides, which mostly contains Shopify’s philosophy; content, which primarily concerns itself with language; visuals, which refers to exactly what it sounds like; components, meaning interface elements; and finally patterns, which means the overall layout of a page. Each has its respective subcategories. Much of it can seem basic to more experienced Partners or unnecessary to those who have hired designers. However, as you keep looking through the material, Shopify’s attention to detail is hard to miss. 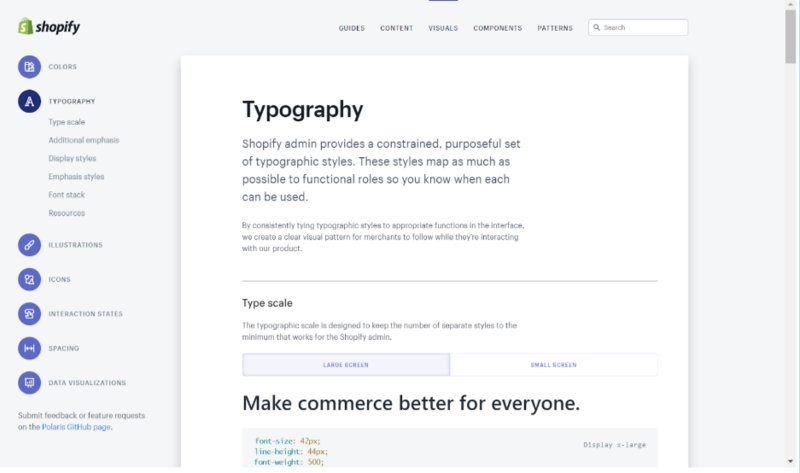 In fact, I found it surprisingly extensive, and I ended up perusing it much longer than I would have thought necessary, just out of curiosity to see what Shopify outlined as its design standards. Once again, this tool is available for literally everyone. If you’re a Shopify Partner, you may even find yourself annoyed you don’t get a more advanced version of this, but I think it speaks to Shopify’s overall robust customer support. 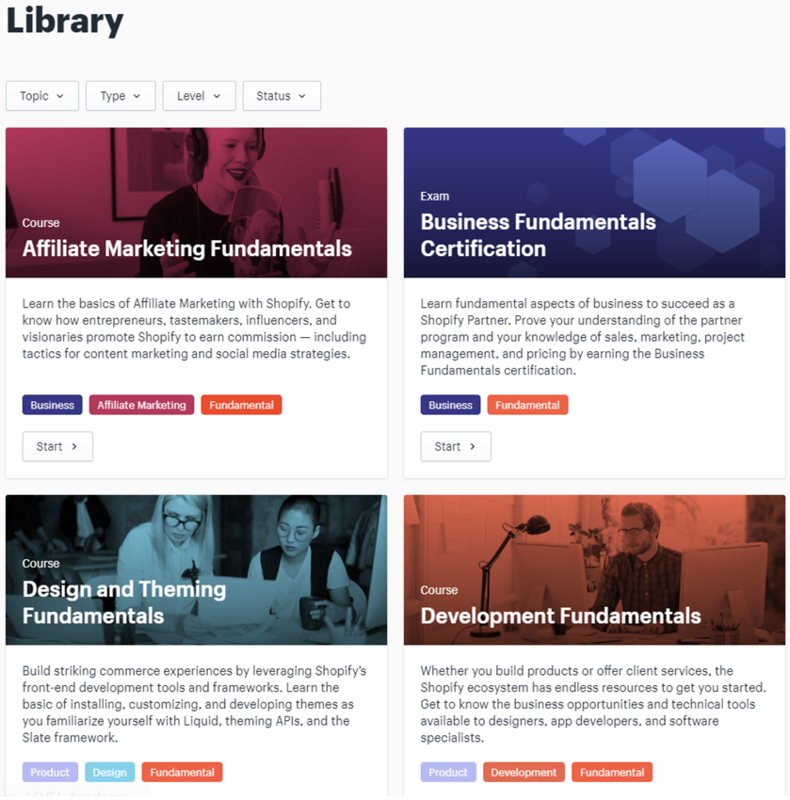 Of course, the more well-known collection of information would be Shopify Partner Academy: this has online courses you can take to become more confident with the Partner platform. There are two main sections—courses on business fundamentals, and courses on product fundamentals at 6 and 7 courses respectively. Partner Academy also has a series of courses in a section called “training camp,” which is exactly what it sounds like. This is also a good resource if you want to take on Liquid. Now, I’m a little hesitant to place too much weight on Partner Academy, mainly because I would guess that if you’re seriously attempting to make money as a Partner, Partner Academy’s material might not be sufficiently advanced for you. That could be an unfair assessment however, and I am not suggesting that all of Partner Academy’s material is redundant. 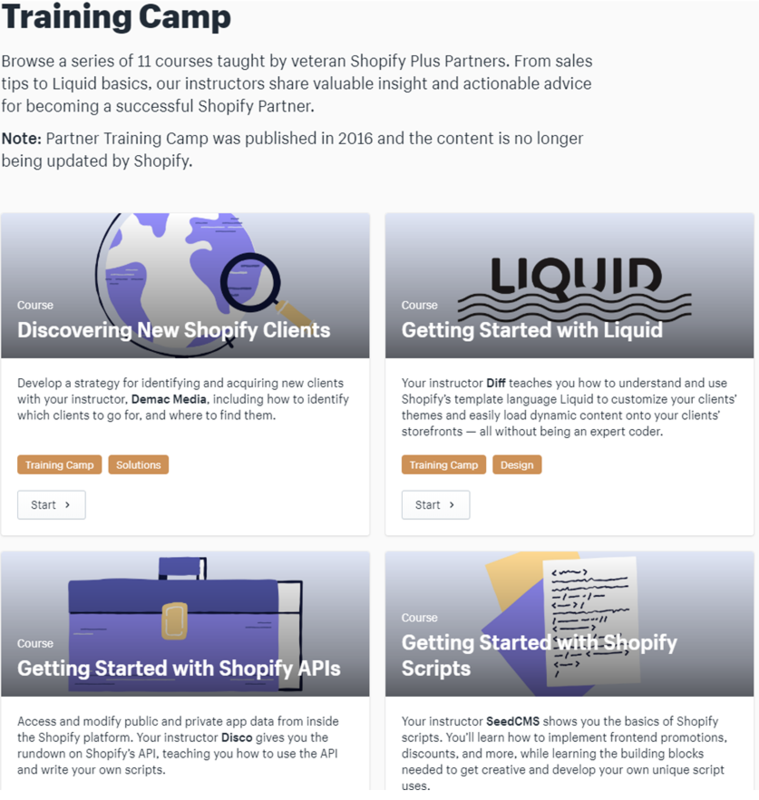 In fact, if you are generally adept at helping your clients’ businesses but a little unfamiliar with the Shopify platform, it’s plausible Shopify Partner Academy could take you the rest of the way. Having resources that cover everything, and all competencies and ranges of experience, is definitely not a bad thing, moreover. With a very extensive array of online resources as well as excellent customer service representatives, Shopify’s customer support factor gets a perfect score of 5/5. If you’ve read this far it’s pretty clear that, flaws aside, we have a good reading of Shopify Partners. But is it for you? 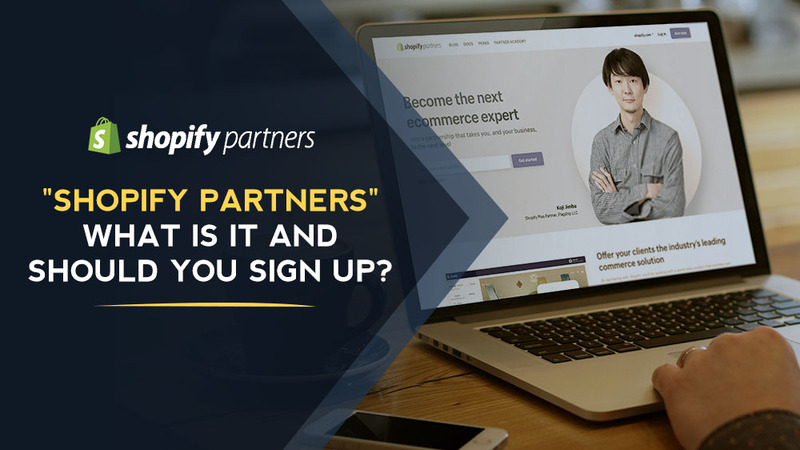 If you’re already well established in helping your clients manage their businesses online, Shopify Partners is a good way of implementing know-how you already have with an easy to use platform that doesn’t require you to sink too much money into aside from the costs of some add-ons (and beyond what you’re already investing for your business). Actually, even if you’re not the most experienced in referral programs, Shopify Partners would probably still be a good fit. Especially considering how much of Shopify’s appeal lies in its ease of use, its relatively low entry cost, and excellent resources that can help you and your clients get accustomed to the platform, it would be a good way for you to begin making your mark assisting clients. If you enjoy and/or have good experience designing apps or themes, being a Shopify Partner offers good potential for your creative capacity. Naturally, you can’t sell your apps or themes elsewhere, but you get to keep a pretty sturdy 70% of the sales, which is not bad. And if you’re mostly interested in referrals, remember: 20% of your clients’ monthly subscription fees per development store referral and 200% commission per affiliate link referral, which is great. You’d be hard-pressed to find many equivalents to those numbers, and the popularity of Shopify already makes the job of referring easier. As a final note, I would reiterate my warning to those who may look away from Shopify Partners after some time. Remember—you’ll only continue to get the payments from your existing referrals if you make at least one more referral every year or get one of your existing referrals to upgrade to Shopify Plus. If you’re hesitant to commit to Shopify Partners, that’s okay too, but you should just be warned—you may only get a year or two out of referral money and the payments will drop soon after you lose interest or move onto another platform. If you think you’ll be active in Shopify’s ecosystem for a long time, then you won’t need to worry about the cutoff so much. It may be important for you to take into consideration Shopify’s approach: everyone makes everything better for everyone. Take the simplification with a justifiable grain of salt, but there’s certainly truth to it: Shopify’s core service is about making ecommerce easier for people. Being a Shopify Partner is also about making things easier for business owners, but also the overall Shopify community in the form of apps and themes, and the services Shopify offers to its Partners and affiliates makes even those positions not so difficult! The Shopify Partner system is predicated on people winning by helping other people win (and Shopify is always going to be the biggest winner in any case). 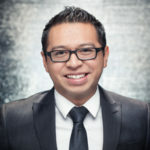 Shopify Partners is good for anyone looking to sell apps, themes, or do more referral programs. To put everything together, Shopify Partners is a great piece of work. As a matter of fact, I felt some trepidation even doing this Shopify review, worrying it was too positive. Alas, the truth is that Shopify Partners is good! It’s cost effective, and well-built. Considering one’s access to development stores, you’re getting well-featured ecommerce tool for free. Managing stores is pretty straightforward, and though some may appreciate more detail, it should be just fine to get the job done. Hidden costs that come up in the form of overpriced apps and themes you find you have to add are unfortunate realities many Partners could face, but the benefits still stack high. Shopify Partners is very easy to use, with largely self-explanatory buttons and easy links. The user interface is clean and smooth, resulting in a similarly clean and smooth user experience. The customer support is not perfect, but almost certainly thorough enough to take care of the vast majority of problems you would seek help for. Additional resources, such as the Help Center, Partner Academy, and Polaris, should not only answer your questions, but make doing your day-to-day business run more smoothly. By combining the factored scores and taking into account the overall pros and cons, our Shopify review leaves the verdict at an excellent 4.6/5.